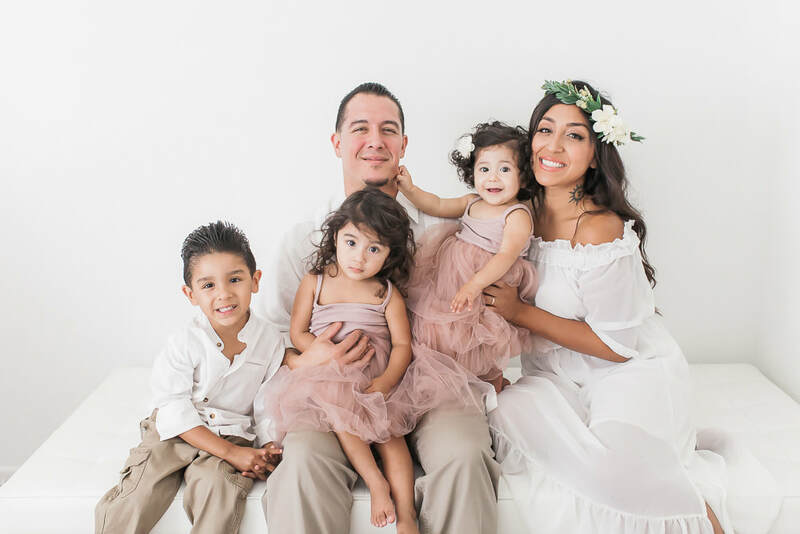 How do I prepare my in studio family session ? We will want your baby happy for the entire session, that is how we accomplish those sweet family photos, so having your baby with a full belly, is exactly how we will want to get started. Please DO NOT withhold any feedings from your baby prior to our session, instead we will work closely together in determining a good time based on any feeding schedule if one already established. It is very important your baby gets a full tummy prior to the beginning of the session so we can spend the most time taking pictures during your session. Don’t stress about changing your feeding schedule around our session. If its time to feed the baby before you arrive to your session please do so. During the session, we may take a nursing or bottle break, make sure to bring an extra bottle if you are bottle feeding if the baby should get hungry and needs a break. For babies older that 2 weeks old, they will most likely be awake the majority of the photoshoot since they are becoming more alert. We are less likely to get the sleep photos but we can still get some great photos of them awake. If you missed the newborn session then I would recommend waiting until your baby is 3 months. They are at such a sweet age during that time. Bring a pacifier if your baby will take one, it may help soothe them if they startle during the session. I provide diaper covers for boys and swaddles to photograph them in. You may want to dress your baby girls in light solid colored dresses, rompers, or onesies. As the parent, what am I responsible for during the session? I will be doing most the work. You did all the work getting the baby here, so it is your time to sit back, watch, and enjoy the process! At all times, a parent will need to be present at the session with your baby and myself during the photoshoot. Should we include ourselves in some photos? Yes, these photos are so special to have. I can work wonders with dark circles from any sleepless nights, and make sure to pose you in a flattering way. If you do want family photos, pick out simple clothes and make sure your hands are manicured as they will be in pictures. I will be happy to take pictures of any siblings with the new baby as well! ( Please note, extended family pictures are not included nor permitted in your session - IE, grandparents, cousins, aunts. etc). If you have young children please bring an adult to watch over them while we take some photos of you parents with your new baby. If parents are going to be in the pictures, what should we wear? What time will our session take place? We strive to plan our session when your baby is the happiest, for example; after waking up from a nap. Baby studio sessions are done in the early afternoon hours. If we are needing to work around a nap time, please let me know as we can discuss these options to get your baby at their prime! When will we get to proof our pictures? Feel free to contact me HERE me for any questions that you may have.